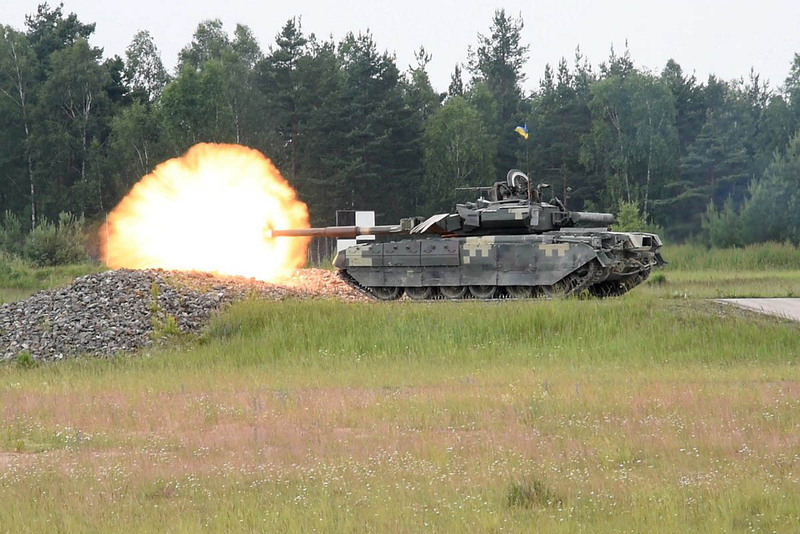 T-84 Oplot is Ukrainian main battle tank, an upgrade of Russian T-80UD with Ukrainian components. Ten T-84s entered service in the Ukrainian Armed Forces in 1999 but later removed from the service due to the financial situation. 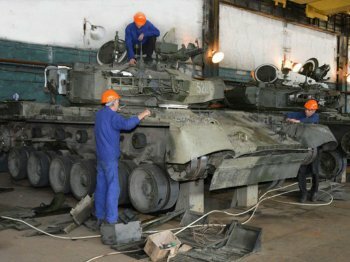 In June 2016, the Ukrainian Ministry of Defense signed a contract with Kharkiv Enterprise plant to restore and upgrade T-84 Oplots. 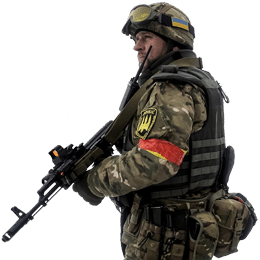 Note: The tanks shouldn’t be confused with BM Oplot, a different Ukrainian tank, see our list of vehicles. 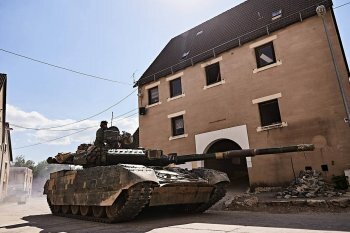 Out of ten tanks, six were restored and handled to 14th Mechanized Brigade during 2017. They were equipped with numerous advanced technology such as thermal imagery, rear camera, and 6TD-2 diesel engine. The fate of the remaining four remains unknown. Some sources say they were sold to the US but we couldn’t verify such information. Ukrainian Ministry of Defense decided to send the unit of T-84s to international exercises Strong Resolve X and Strong Europe 2018 tank competition. 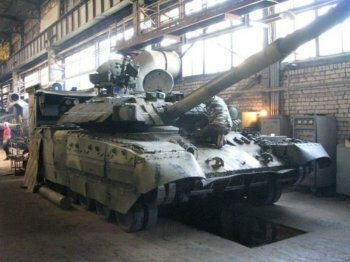 Initial testing by the tankers of 14th Mechanized Brigade already showed some flaws and because Ukraine lacked spare parts for these tanks, the sixth tank was used as the resource of spare components. 14th Mechanized Brigade received the repaired tanks just days prior to their trip to Germany. Therefore, only five went to Germany to participate in international exercises. The first impressions were very positive, tanks were fast and their engine was reliable. Strong Resolve X was a success but it was just driving, the tanks did not fire a single round. Strong Europe was the complete opposite. 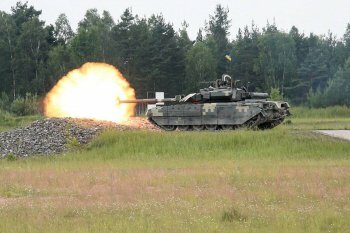 During the offensive part of the exercise, only one tank could shot. The remaining four had issues with jammed gun or sensors. 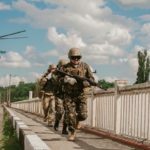 Representatives of Kharkiv Enterprise plant traveled together with a platoon of 14th Mechanized Brigade but didn’t believe such issues might be present. One crew member decided to record several videos as evidence and published it even on the internet. As seen on another video, jamming wasn’t the only issue, the weapon stabilization didn’t work either. Engineers, based on the evidence, acknowledged the issues but it was impossible to fix it in Germany. Not everything was bad, however. The 6TD-2 diesel engine was reliable, quiet and the tank matched the speed of Abrams or Leclerc. T-84 is also equipped with an additional power unit which allows to shot without starting the engine. 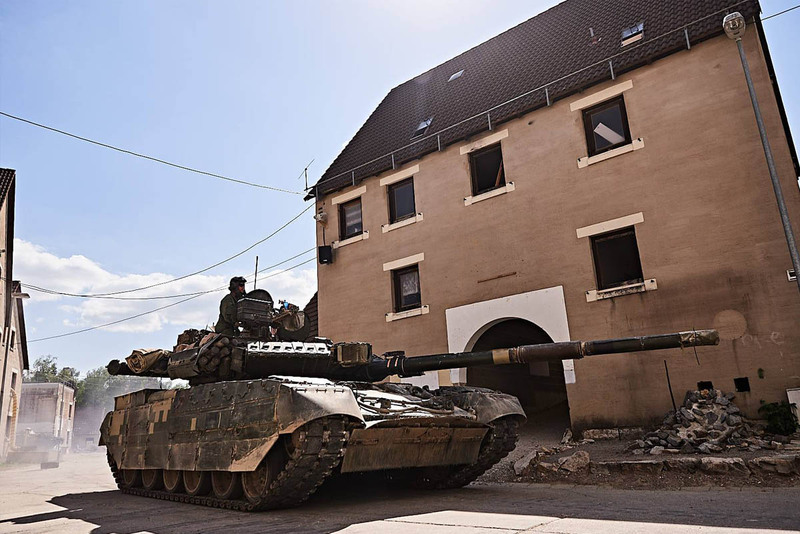 After its arrival from Germany, the tanks participated in the Independence Day parade in 2018 and then they were transferred to the training center in Desna. There are not enough spare parts for these tanks. They can be made from scratch, but that will cost a lot of money. Furthermore, five tanks aren’t enough to create a unit. The only way is to incorporate T-84s alongside T-64s but they wouldn’t be able to perform combat task together. We will follow the topic and in case of any update, we let you know but for now, it looks T-84s won’t go to Donbas anytime soon.